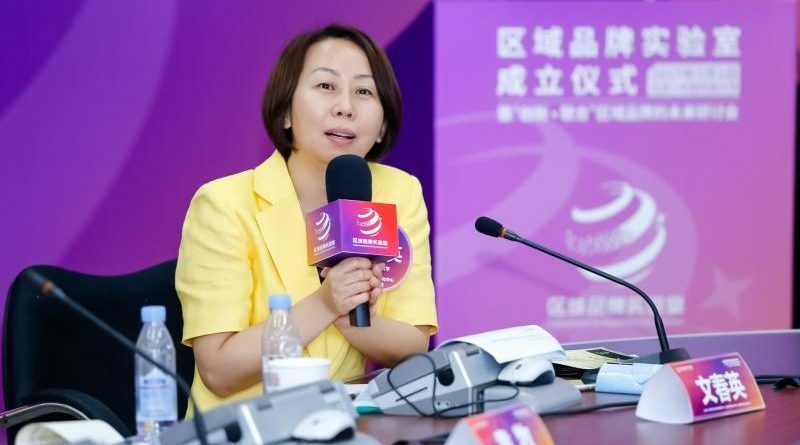 Chunying Wen, Professor at the Communication University of China in Beijing, in this interview discusses place branding research and city branding in China. She tells us about the growing interest in a less marketing-focused and more resident-centered, inclusive approach to city branding, and illustrates how the research community is using "place branding" as shared area of interest to network across academic disciplines. The emergence of a more inclusive, resident-focused approach to city branding. Chunying, as a scholar specialized in communication, do you remember the first time you heard about the term and concept of place branding? And your initial thoughts? I came across the term city branding in 2008 as the Executive Dean of the Asia Media Research Centre, when was planning the theme for the 2008 Asia Media Forum. The city of Beijing also celebrated the Olympic Games that year. From this I came up with the theme of national image and communication, which is an important new area of academic research. As part of my preparation work, I talked with many local government officials about this theme to collect ideas and understand their needs. Many of them expressed a view that they needed professional advice and help to promote their cities, to attract investment, tourism and to develop a positive reputation. I therefore added a parallel sub-forum to the conference, on "City Image and Communication." How has your view on the topic changed since then? Reflecting on the past 10 years, I now realize that my view on place branding has been driven by practitioner’s needs. In the beginning, I approached city branding from the perspective of communication. My research team had done some communication strategy projects for local cities. It typically included communication positioning, logos, slogans, brochures, advertising strategies, publicities, events, etc. This was all around the year 2008. When we were undertaking more projects, we realized that place brands were not a communication issue - nor even a marketing issue - and that the articulation and visuals of a place brand should be just one part of the entire branding process. In practice, we were not working merely with publicity departments, but had to deal with all other related departments at a municipal level, such as tourism, cultural heritage, urban planning, regional development, media groups, and local communities. My original area of expertise is advertising and mass communication. In 2008 I realized that I needed to think of the place branding from a broader, more cross-disciplinary perspective; a view which includes regional development, urban planning, tourism, cultural geography, public diplomacy, film and TV programme production, communication and marketing, and more. We can hardly even set a boundary for "place branding".